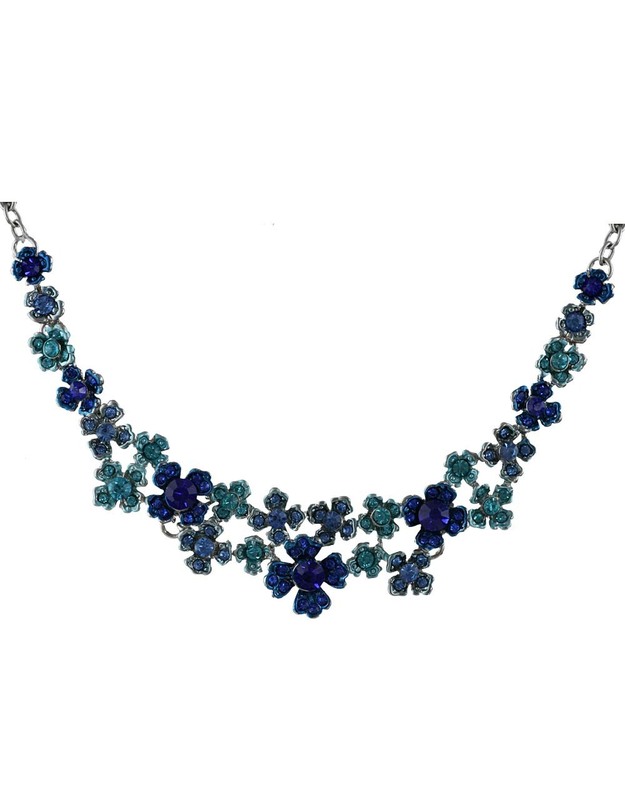 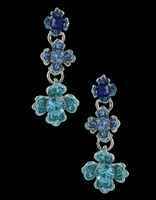 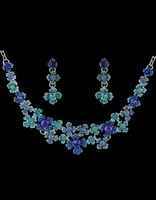 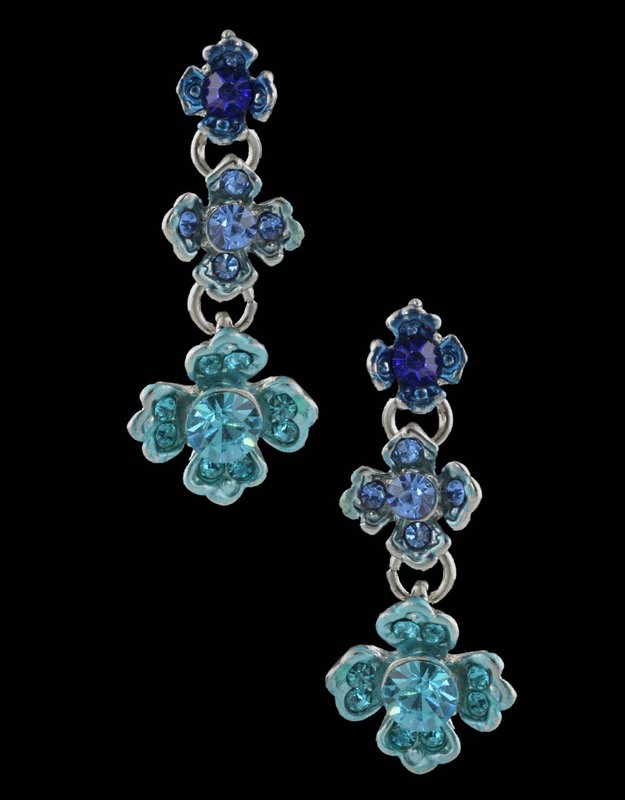 Beautifully designed, this blue colored floral design necklace set from the house of Anuradha Art Jewellery is perfectly studded with stunning blue colored stones. 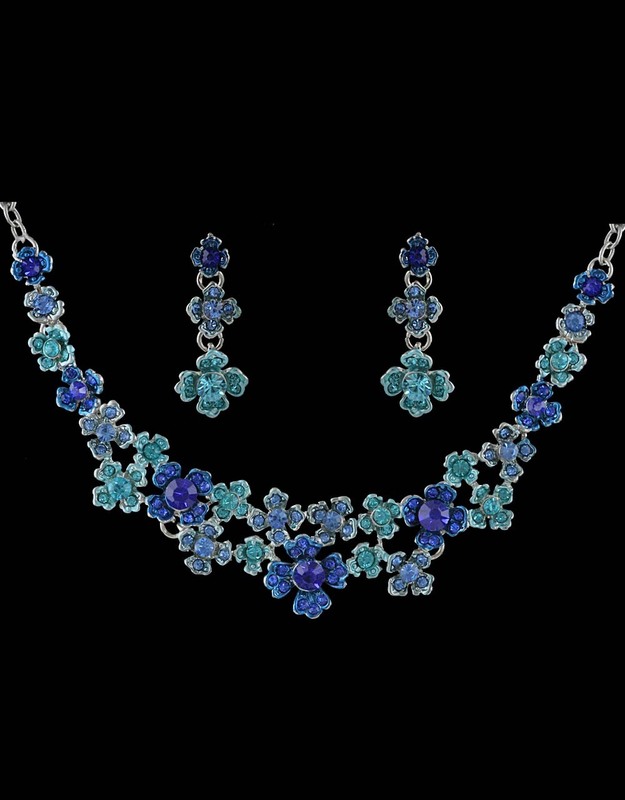 This set is fashioned from Korean metal. 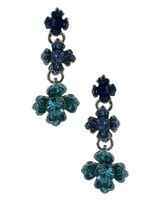 Excellent quality & high durability are the hallmarks of this set.